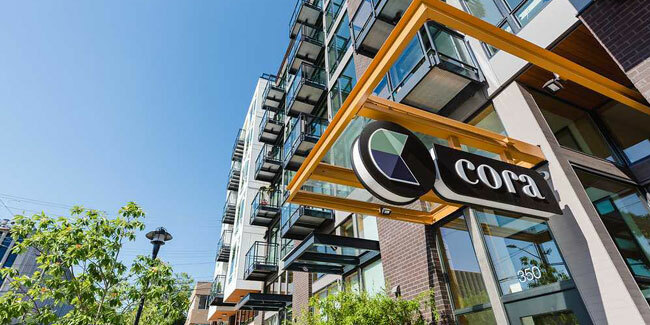 Building Type: Cora has five levels of wood framed units over three levels of concrete parking, retail and amenities. OWP was responsible for design and installation of all plumbing systems including a high-efficiency central hot water heating room, re-circulating hot water system and duplex water pressure booster pump. Manhole rim elevations in the street required that a complicated system of backwater valves be used at the waste piping.